Holi is one of the most enjoyed festivals in various parts of India and wherever Indians live in the world. This is the festival of colors that is celebrated in the beginning of spring. Aspirants can greet the loved ones on this festive occasion sending them holi gifts through online gift stores. Gifting gulaal on the occasion of holi has a great significance as the festival is dedicated to colors. This gift combines delicious and rich Bogatchi chocolates with color in the powder form. The recipients can enjoy holi by applying this color in powder form; or the color can be mixed in the water and sprayed. The aspirants can gift sweets on the occasion of holi to multiply the delight of the celebration. This gift includes colorful truffles in fruity flavors and also filled with real dried fruits. Thus the recipients can enjoy the truffles sharing them with the friends and relatives gathered together and play with balloons filled with colors. This is among the most delicious holi gifts online that the recipients of any age group would thoroughly enjoy. Kaju Ghujia is a preparation that combines cashews, dairy products and sugar for sweetness. Sharing sweets among the loved ones would increase the joy of the happy times. This would be a special way to say ‘Happy Holi’. This is another sweet surprise that would be among the gifts for holi that the recipients would remember for years to come. The gift pack includes colorful sweet cookies garnished with roasted dry fruits that provide them the appearance quite appropriate for the theme of the festival being celebrated. The balloons and colors would help the recipients celebrate as well. This gift set would be best suited Holi gift for the beloved wife or girlfriend. This gift set includes potpourri arrangement, reed diffuser, scented candle and branded face scrub. Thus the recipients can experience rejuvenation at home using the face scrub after exposure to the colorful Holi celebration. The aspirants that wish to send interesting Holi gifts to people close to heart can choose them from Giftcart.com. 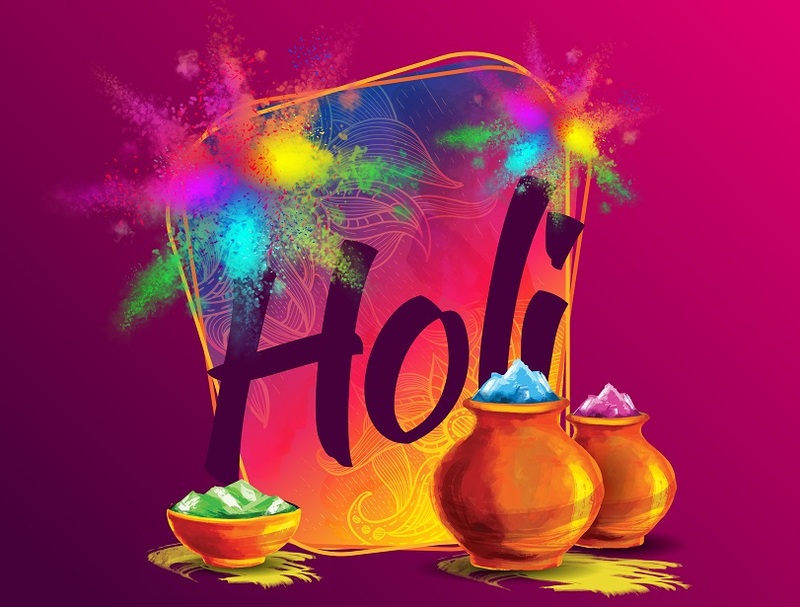 This is the online gift store that offers most relevant gifts for the festival of colors.